"This is so simple...my mom used to make these all the time. You won't believe how easy this one is." Preheat the oven to 400 degrees F (200 degrees C). Spread peanuts out on a large baking sheet. Bake for 15 to 20 minutes, or until the shells are browned. Watch carefully, the peanuts brown rather suddenly. When cool enough to touch, break open the shells and eat! 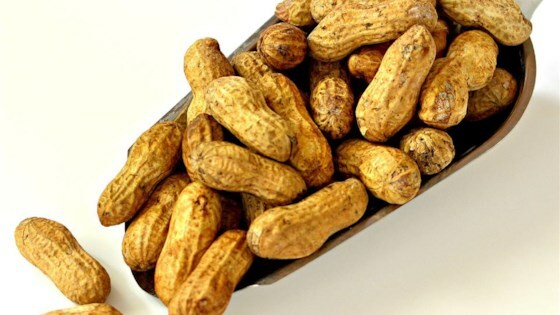 See how to make tasty boiled peanuts from scratch. Good recipe! It's best to stir once during roasting so that all peanuts are evenly roasted. Thanks! Quick, easy way to roast some peanuts. The package of raw peanuts only had a recipe for boiling 'em. Thanks for sharing this, they were at hit at work. Worked great, but you really do have to watch them closely towards the end or they'll burn. This recipe worked just like she said it would and my husband loved them.